When you’re looking for a new gas-fired forced air furnace, you have three main options. Each type comes with its own benefits and functions differently from the other. All furnaces are rated according to their Annual Fuel Utilization Efficiency (known as AFUE), and the current ideal minimum rating is 78%. The AFUE tells you how efficiently a gas furnace transforms its fuel into energy. The higher an AFUE rating, the more efficient the system. A modern condensing furnace is the most energy efficient system. The most efficient type of gas furnace currently on the market is the condensing furnace and it is capable of having an AFUE of as high as 97%! The reason for this is the additional heat exchanger which condenses the water steam contained in the boiling flue gases which helps pull out extra heat for the house. The flue gases created have very low temperatures so a plastic pipe (that can be installed through a side wall) is used to expel these gases outside the house. The condensed water is taken away via a drain located in the floor. The condensing furnace also uses a hot surface ignition (HSI) and does not require a chimney, as exhaust escapes directly through the walls in the basement, allowing more choice as to where you place your gas furnace and enabling you to easily rearrange the furnace room. If you already have an energy efficient home, you can secure a unit that directly obtains combustion air from outside your home. An induced draft furnace is similar to the conventional furnace, however, it contains a different venting system. The conventional system pulls air in from 2 points – through a gap in the furnace front and at the flue – and this creates a natural draft. The induced draft furnace creates the draft by using a fan which pulls combustion products into the flue thereby increasing the efficiency of the furnace. The induced draft furnace also uses electronic ignitions rather that the standing pilot and these ignitions are either a hot surface ignition (HSI) or an intermittent pilot, the HSI being the more popular choice in modern furnaces due to it being more reliable, cheaper and the electronic controls required are more economic. These factors give the induced draft furnace an approximately 20% higher AFUE rating than the conventional warm air furnace. The older style conventional warm air furnace burns natural gas which creates heat for the heat exchanger which then moves the heat to the distribution system. The air inside the house is them heated as it circulates around the heat exchanger and distributed throughout the house via the ducts. Cool air within the house is transported via other ducts to the furnace, where the air is heated again and recirculated. Air is also pulled into the flue for ventilation and this air is then blended with the exhaust gases and then expelled through the chimney. This type of furnace is the least efficient available. The older style conventional warm air furnaces have AFUE ratings as low as 55%, making them the more energy-inefficient option. They also have a standing pilot, which functions as a gas burner’s ignition flame. 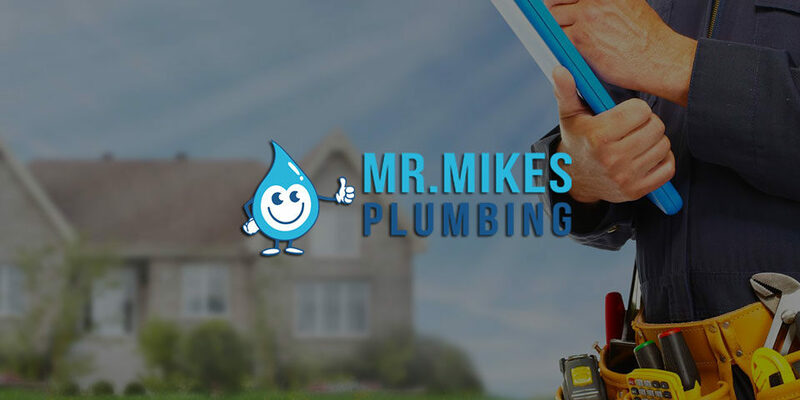 For all of your gas furnace needs in Calgary, call the professionals at Mr. Mike’s Furnace today. Mr. Mike’s plumbing saves clients pet from clients heating system.